If you believe another driver was guilty of causing your car accident, then having witnesses to back that up can be of great importance to your case. Call (832) 463-1003 if you would like to talk to an auto accident law expert in Texas. While a jury is highly likely to assume that anyone actually involved or hurt in the accident is biased, witnesses are generally viewed as a neutral third party with no motive to tell anything but the truth. As bystanders, nothing is really gained by the outcome, so they are generally believed when giving statements about who is at fault in an accident. 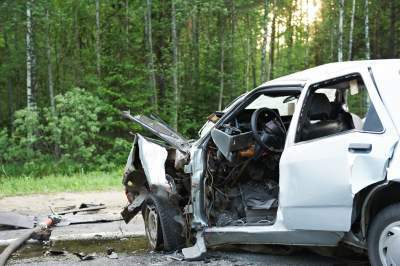 General witnesses to a car accident are people in other vehicles, or those walking, who just happen to be in the vicinity when a car wreck happened. Passengers of other vehicles, other drivers, people coming from businesses or stores close by, utility workers, road construction workers, and even non-driving occupants of the car are typical witnesses to the crash. Even those that are close by the come to assist and aid those in the accident can be witnesses. But, how do I get witnesses’ help? Your safety and health should be your first priority after an accident. But, if possible, examine the scene immediately to see who might have witnessed it. Ask those around if they believe another driver was the cause to see if that was their perception as well. Identify yourself, be polite, and be as patient as possible when speaking with witnesses, you’ll most likely be asking them to do you a big favor by supporting your case. If their opinion of the accident is the same as your own, you may want to get their contact information if they are willing to support your claim by asking for their name, address, email address and phone number, and any other information that can help you get in contact. Grab a pen or record their information in your cell phone. You don’t necessarily have to record their statements at that time, but you do need to make note of their information for future use. Although it will not be under oath, such recorded statements can still be useful in supporting your case. A formal deposition, which records a witness’ statement, can be more helpful later in the proceeding (although this doesn’t mean that you’ll be able to hear the depo statements, yourself, until and unless the case goes to trial). Even then, it depends on the witness how effective the statements can be. A witness may have their credibility weakened by one reason or another, or their statement could be rendered inconsistent with their initial statement. Observations of any witness who was a considerable distance from the wreck have much less credibility then those closer by. A witness can even lose reliability based on their personal characteristics, such as their level of reputable honesty or criminal record. What to do if I witness a car accident? If you witness a car accident, then it may be a great idea to offer up any information that you have to the responding officer. Alternatively, you can give your name and contact to those involved in the accident, and let them know that you will make yourself available for a statement if needed. In any case, you’ll want to take pictures of the scene and those involved so that you can better recall the facts of the incident at a later date. One thing you should never do is lie about what you witnessed or observed. Also, consider that if you know either party involved, then your credibility may be attacked as a biased witness to the accident. Witness statements for Insurance purposes are provided before a case goes to trial. They will contact the witness directly and ask for a statement, taking questions from the adjusters and recorded. Questions like whether the witness is related to you, familiar with you before the crash, or if they have any personal interests or gains that could come out of the claim. If your case isn’t negotiated and settled directly with the insurer and goes to trial, witness statements may not actually help your claim. Legally, a witness’ statement can be considered “hearsay” and be inadmissible in court. In some cases, witnesses do not even show up to testify. But, having witnesses that can support your case and your account of the crash can be very helpful when dealing directly with the insurance company. With satisfactory witnesses, the insurance adjuster must take your claim seriously and might be more flexible and willing to negotiate a settlement. There are also the “non-human” witnesses that can be used in your case, such as ATM Camera footage, surveillance videos, even retailers that use twenty-four hour video surveillance of the area immediately in front of their businesses (most of which include street views where your accident took place). Your accident attorney can help you secure that footage. Give your witness statements, information, and requests to a car wreck or car accident lawyer. They will investigate and contact witnesses on your behalf. Witnesses will be asked exactly what they know or remember, and if their knowledge or recollection helps your case, they will get a recorded statement. They can help with obtaining footage and help negotiate settlements. Get in touch with an accident lawyer today about your case, you deserve care and may be entitled to financial recovery from your injury losses. If you are hurt in an accident, then you should call our office immediately (832) 463-1003. We offer consultations to all potential clients. We can help you recover the money you deserve to get back on your feet and put your life back together after a serious injury accident. 3 What to do if I witness a car accident?